• Is In-Office CAD/CAM Financially Viable? 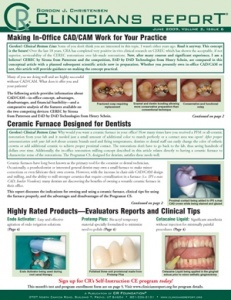 • Is In-Office CAD/CAM for All Indirect Restorations? 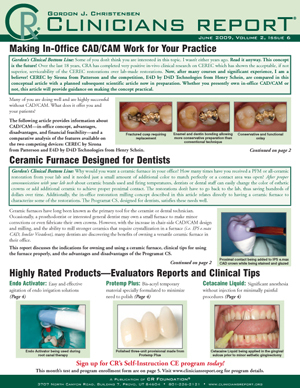 • Are There Disadvantages to In-Office CAD/CAM?